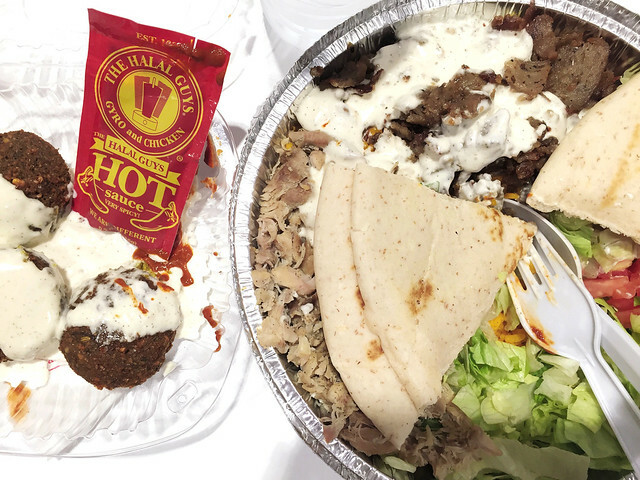 After months of waiting and delays, The Halal Guys are finally opening! One of the best perks of my job is being one of the first to try exciting new places and no other establishment opening this year could probably could get me as excited as this. Yesterday was a dry run exclusively held for press and bloggers. 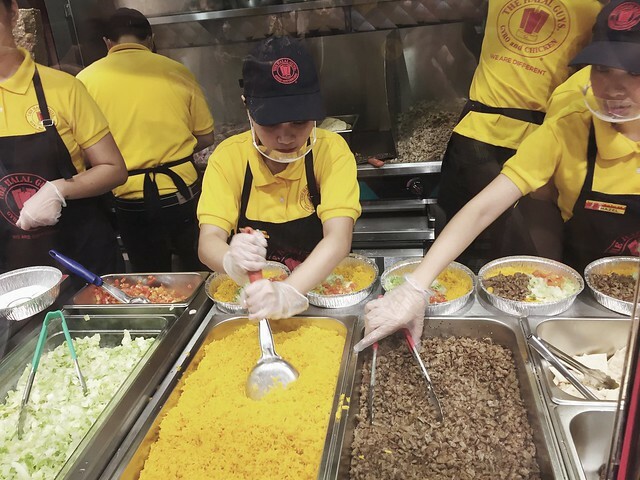 The first Halal Guys outside of New York is in our country and I can't believe how lucky we are to have been chosen as the first place to expand in. 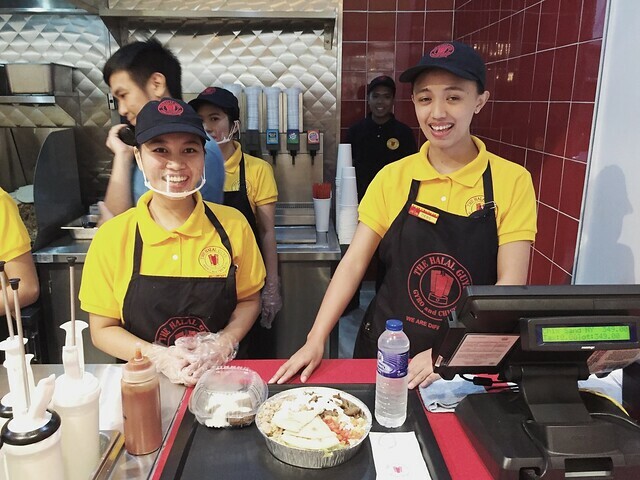 Their pioneer branch in Manila is located at the slightly more posh food court of the 5th floor of SM Megamall's Fashion Hall. Their staff seemed well trained and happy to be working at such an iconic establishment. Prices are reasonable. About P200++php for a large plate. You can opt between regular and NEW YORK SIZE which is large enough to share between two people on your NEXT visit. For first-timers, I suggest getting a large and ordering as much as you can since I imagine the lines will be super long. Menu is pretty basic and straightforward. I LOVE FALAFELS so I got a side order which only cost P99 for 4! I risked a gallbladder attack for this meal. PG na kung PG but I gotta say, a bite of that beef dredged in sauce was worth it. They're still closed but I heard they'll be opening at an undisclosed time today to serve a limited number of people for a dry run.If you're in the area, why not drop by and take your chances? If not, be one of the first 100 customers on 10-13-15 to enjoy a FREE meal! Just in SM Megamall! Oh yeah. Hubby will surely love this! 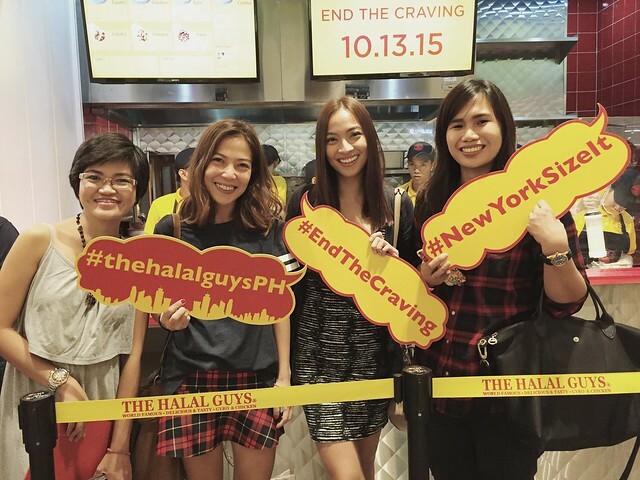 First time to heard of Halal Guys. That means they are Halal certified? I have seen lots of halal certified restaurants in Malaysia but never got to try them. Will check them out. Sayang di ko nasubukan yun Falafel! Great. I love Mediterranean food. I'm excited about this but I gotta wait till the hype die down a little, haha. This is the second entry I red about Halal Guys! I will definitely check this out! We will check this out when we pass by to location.. Looks like foods they serve are healthy.